“... But 1 suppose the day will come. Well, when you sell yourself for dollars this is what happens to you. If they would only come sooner, the bastards“. 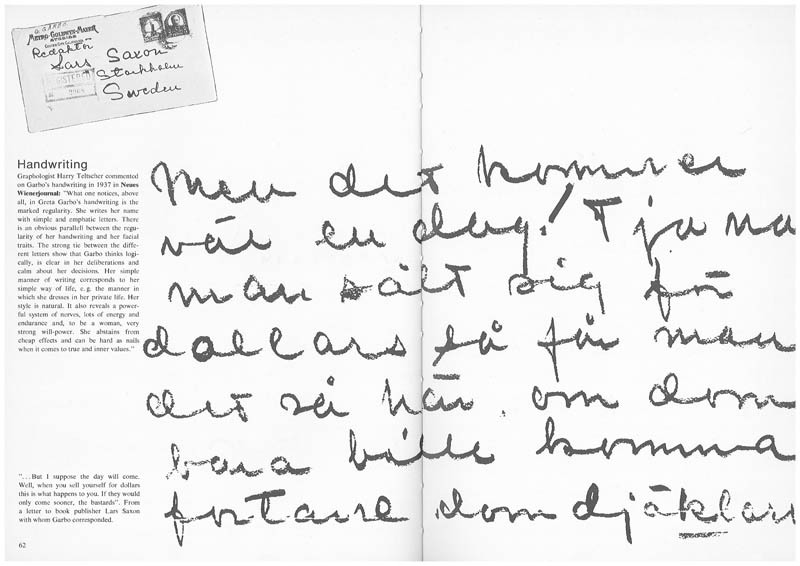 From a letter to book publisher Lars Saxon with whom Garbo corresponded.